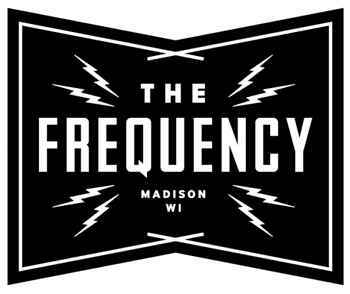 So glad we decided to check in early at the Frequency in downtown Madison for the 11 pm Neutral Uke Hotel show last night. 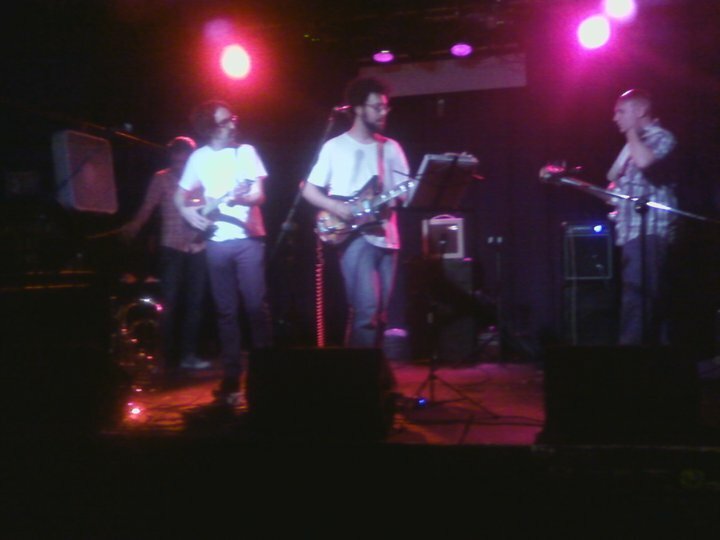 Seems a couple of the bands scheduled for earlier in the evening didn’t make the gig, so the Neutral Uke foursome (Shawn Fogel on vocals and ukulele, Josh Cohen on melodica, Michael Epstein on baritone ukulele, and Matt Girard on trumpet) were setting up by ten and playing by ten-thirty. They opened, in other words, for themselves. Not so odd really, since East Coasters Fogel and Epstein both front other bands (Golden Bloom and The Motion Sick, respectively). We were afforded the distinct pleasure of a strong mini-set of power pop and hook-laden rockers that unquestionably spurred the sale of Golden Bloom and Motion Sick CDs and vinyl singles after the show. The point of their tour, however, is another project altogether: a loving homage to In the Aeroplane Over the Sea, the still startlingly original 1998 album by Neutral Milk Hotel (formerly of Ruston, Louisiana and Athens, Georgia) that has grown increasingly iconic with every passing year. Thankfully Neutral Uke’s gimmick of playing the entire album on ukuleles transcends its novelty premise. While Shawn Fogel’s singing has an overall sunnier disposition than the possessed and disturbing vocalizing of NMH’s Jeff Mangum, Fogel acquits himself brilliantly on the album’s most powerful cut, “Oh, Comely,” a monumental eight-minute psychodrama of love and rage directed at the memory of Anne Frank and her Holocaust death. There’s nothing quite like it in the annals of rock history or modern poetry for that matter. Mangum himself recently performed the song when he made a rare public appearance last May at a New York benefit concert.